Press the CRUISE & SPEED LIMIT MODE switch. If you press the cancel O switch once, the set speed limit will cancel, but it will not turn the system off. If you wish to reset the speed limit, move the lever up (to RES+) or down (to SET-) to the desired speed. 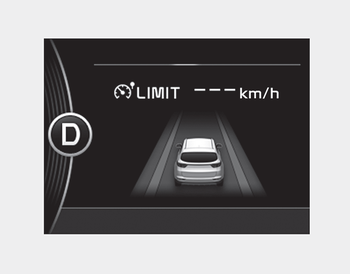 The “---” indicator will blink if there is a problem with speed limit control system. 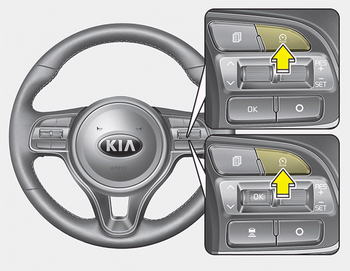 If this occurs, we recommend that the system be checked by an authorized Kia dealer.